As medical advancements grow, so does prescription drug abuse that has been categorized as an opioid epidemic in the United States. The total estimated U.S. economic burden of prescription opioid misuse (just a subset of addictions) is $78.5 billion a year, including the costs of healthcare, lost productivity, addiction treatment, and criminal justice involvement. So what does drug addiction have to do with digital marketing? When the Affordable Care Act passed in 2010, addiction was no longer considered a pre-existing condition for insurance purposes. Insurance coverage for addiction treatment became more robust, including assistance with inpatient services like detox and rehab. With increased funding for treatment, rehab facilities opened their doors and pockets to advertising, although not always with altruistic intentions or the proper credentials. In order to attract patients, credible and non-credible rehab facilities alike bid on addiction keywords in search engines like Google in hopes of getting patients in the door. 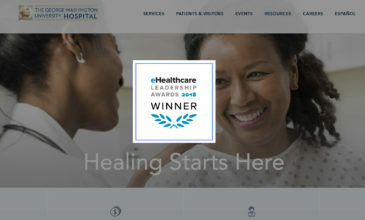 Entire conversion channels with call centers and landing pages were set up to funnel leads to centers, some of which lacked the medical experience to treat patients. By taking advantage of the monetary benefit, these false “rehabs” left addicts woefully unsupported, or even enabled their continued substance abuse. Once Google became aware that there were many instances of deceptive rehab advertising experiences on their own platform, they released a Healthcare: Addiction services AdWords policy, removing the ability to bid on addiction keywords until they had a way to validate the credibility of treatment. This validation is not new to Google, who has tighter parameters for advertisers, including Pharmacy verification and the inability to retarget for alcohol products, etc. 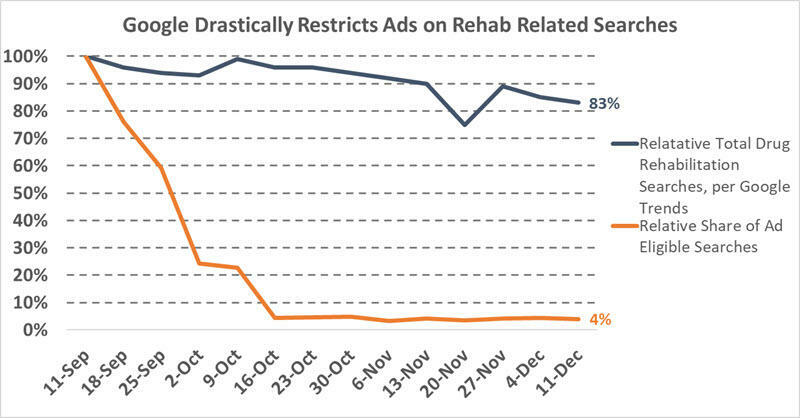 Since the Google Ads Healthcare Addiction policy was put into action in September 2017, Ad-eligible searches have dropped drastically, to as few as 4% by the end of the same year. Exact and phrase-match keywords were those most affected by the eligibility, with broad match keywords accounting for a larger amount of eligible searches remaining. In order to re-open addiction keyword bidding, Google has layered in an approval process for addiction facilities to be able to show ads. What makes this groundbreaking is that instead of looking for a government certification to verify, Google is working with a third party to CREATE a way to validate rehabs with a LegitScript Addiction Treatment Certification. In other words, rather than the federal government or the healthcare industry taking steps to regulate rehabs (which would in turn make sure insurance dollars are being spent for their intended purpose), an advertising giant is dictating which addiction rehabilitation facilities are legitimate. Mind blown. Lack of Communication – The original announcement came out in September 2017, with some campaigns seeing no immediate repercussions by the May effective time frame. However, once flagging began, a rapid succession of disapprovals brought campaign spending to a standstill. Vagueness of the Policy – Likely in an effort to thwart those abusing search traffic, the policy currently isn’t clear about which terms are being penalized. It can feel pointless to try to reinstate campaigns when it’s hard to understand how and even if changes to campaigns would be re-approved. Certification Process – In order to apply, each facility needs to proceed through an extensive amount of paperwork to confirm standards for Business Registration, Compliance, Domain Name Registration, Website Content, Policy/Procedure, Qualifications, Facility Location, Professional Setting, Background and History, Facility Disclosure, Insurance, Privacy, Business Practices, Medication Assisted Treatment and Incentives. Price of Certification – There is both an application fee ($795 – $995) AND annual fee ($1,495 – $1,995) per facility, so this can get pricey, fast. Approval Rate – During the first 3 months of the program, only 30 applicants will be accepted to take part. That seems like a small amount and it is undetermined how long it may take for additional rounds. There is currently no indication of criteria for acceptance. Continued Certification – Once accepted, you cannot discontinue the process as “ongoing monitoring is required.” This is questionable, and it also invites us to ask: what are the repercussions from the government or healthcare providers? 1. Where does this channel fall in my customer’s consideration funnel? 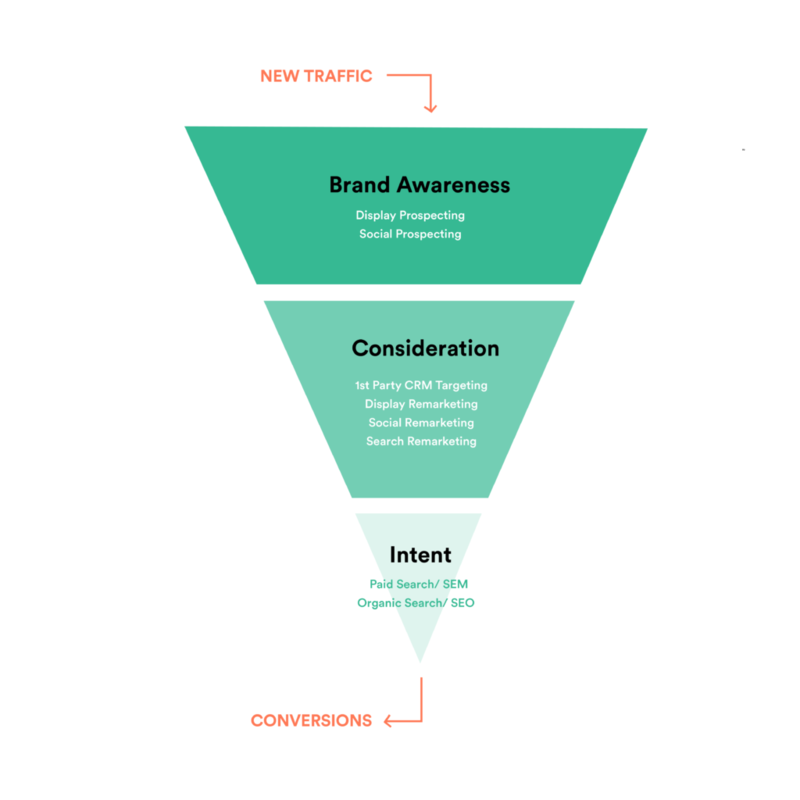 The higher your customer is in the funnel, the farther they are from being ready to make a decision and convert. Paid search falls relatively low in the marketing funnel with an audience actively pursuing treatment, so it’s important to replace this function with other bottom-of-funnel strategies or adjust conversion rate and value expectations accordingly. 2. What are the inherent benefits of this channel? Does this platform give you more control, like a higher market share in your target market or advanced audience targeting beyond what paid search offered? How does this align with your customers, and where/how they seek information? 3. What are the drawbacks of moving to this channel? Will this shift increase costs? Consider that you may need to create new ad assets, adjust performance measurement, or prepare for a higher relative lead cost. Compare these costs not only against your paid search budget, but also weigh how this affects other aspects of the team, such as web development. 4. What is the relative level of effort for setting up a rehab facility on this channel? Take into account how much effort needs to be undertaken to get set up on this new medium. Everything from assets, billing structure, pixel tracking, approvals, and timeline should be assessed – and budgeted for, in both dollars and staffing. 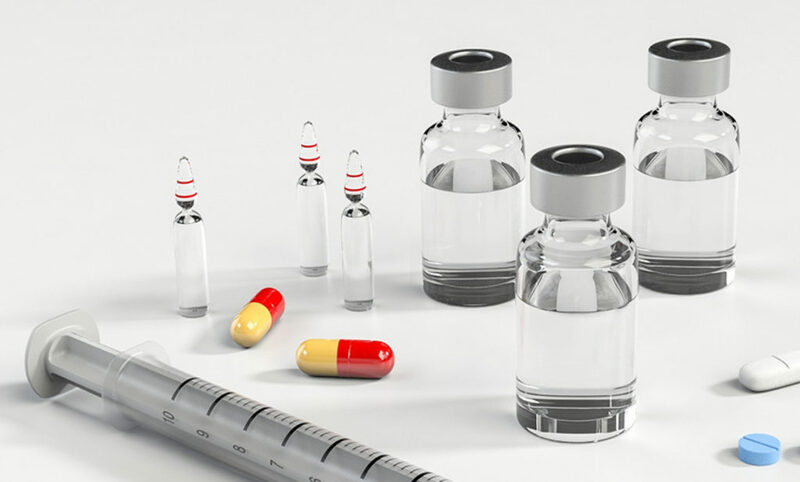 The policy on addiction treatment keywords is a huge change in the healthcare landscape, and your marketing efforts have to adjust accordingly. 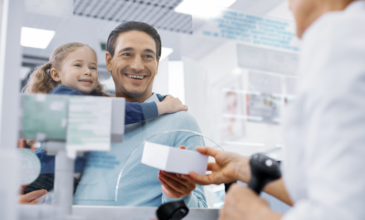 For help navigating healthcare marketing strategy or improving user experience design to reach your customers at any stage of the funnel, contact us.